A marital dissolution (divorce) proceeding is initiated when a Summons and Petition for dissolution of marriage is personally served upon a party’s spouse. The Petition is usually a rather vague document which just briefly outlines who the parties are, whether they have children, and provides a brief summary of the parties’ incomes and assets. The Petition also usually contains a short statement regarding the relief requested by the petitioning party. To establish jurisdiction for a marital dissolution proceeding the spouse filing for the divorce has to have lived in Minnesota for 180 days. The divorce has to be filed in the county in which either party resides. The party receiving the summons and petition has thirty (30) days to file an Answer, which is a legal document which responds to the requests for relief outlined in the Petition. Generally speaking, if an Answer is not served within thirty (30) days of personal service of the Petition the party initiating the dissolution proceeding will be allowed to proceed by default. 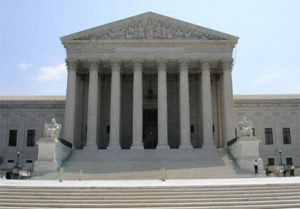 If the parties can reach an agreement with regard to the issues in the marital dissolution proceeding a document called a Martial Termination Agreement is usually drafted, executed (signed off on) by both of the parties, and forwarded to the Court for a Family Court Judge or Referee’s approval. The more the parties can agree upon matters in the dissolution proceeding the less the attorney’s fees and costs will be in the case. After Summons and Petition are filed with the Court, an Initial Case Management Conference (ICMC) is frequently scheduled by the court administrator. The purpose of the ICMC is for the parties to meet with the judicial office assigned to the case and discuss how the case should proceed. If the parties cannot reach an initial or temporary agreement in the dissolution proceeding, a temporary hearing is sometimes scheduled. The purpose of the temporary hearing is to outline the rights and responsibilities of the parties during the pendency of the proceeding; including temporary occupancy of the homestead, temporary custody of the children, temporary parenting time, and temporary child support and/or spousal maintenance. If the parties have children a custody evaluation may be ordered. The purpose of a custody evaluation is to provide the Family Court Judge or Referee with recommendations regarding the custodial arrangements which will serve the “best interests” of the parties’ minor children. In most counties the parties themselves must pay for a custody evaluation. Such custody evaluations are peformed by private individuals, and can be very expensive. In many counties, the parties are encouraged to engage in an Early Neutrual Evaluation (ENE) early on in the process. There are two types of ENEs: A Social Early Neutral Evaluation (SENE), which addresses custody and parenting time issues; and a Financial Early Neutral Evaluation (FENE), which, as its name implies, addresses financial issues. An SENE is akin to an abbreviated custody evaluation. There are two evaluators; a male and a female, so there is an appearance of gender neutrality. At an SENE the parties and their attorneys meet with the evaluators in a session that is usually scheduled for three or four hours. Each party describes (1) his or her role in raising the children, historically speaking; (2) what he or she would prefer custody and parenting time to be in the future; and (3) any concerns that he or she has about the other parent. The evaluators then confer with each other, and then reconvene with the parties and state what they believe the outcome would be in the case if a Judge had to make a decision (keeping in mind that they have not performed a full-blown custody evaluation). Then, the evaluators typically explore whether, based upon their recommendations, the parties can reach an agreement on the custody and parenting time issues. If the parties cannot reach an agreement at the SENE, having a custody evaluation completed would be the next step — if the parties could afford it. After a custody evaluation is completed (if there is a custody evaluation) (or after the SENE process if there is not going to be a custody evaluation), and/or after the parties have had an opportunity to exchange financial information and determine what the financial issues are in the case (child support, spousal maintenance, division of assets and liabilities, even attorney’s fees), a prehearing conference is scheduled by the Court. Both the parties and their attorneys must attend the prehearing conference. The purpose of the prehearing conference is to try to settle the case; or, if the case cannot be settled, narrow the issues and schedule a trial date. There are no jury trials in Family Court. The case is argued to, and decided by, a judicial officer, usually a Family Court Judge or Referee. The process for paternity cases (where a child is born out of wedlock) is very similar to the process in a marital dissolution proceeding; with the notable exceptions that dissolving the bonds of matrimony is not at issue (because the parties were never married), nor are the division of property or debts at issue. We at the Nygaard & Longe Law Office believe that it is important to present your case in a way which will, hopefully, make the Judge or Referee most sympathetic to your position and the issues which are of importance to you in your the case. We have also obtained favorable results for mothers in marital dissolution and custody proceedings. © Copyright 2019 - Nygaard & Longe Law Office. All rights reserved.  The material and opinions provided by the Nygaard & Longe Law Office on this website, by telephone, or in consultation are provided for informational purposes only and do not constitute the establishment of an attorney-client relationship. An attorney-client relationship is established only by the execution of a retainer agreement with the Nygaard & Longe Law Office. The Nygaard & Longe Law Office is not responsible for the content of, or information provided by, linked sites.